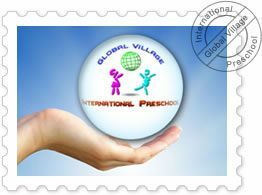 Our preschool classes are for children between 3 and 6 years old. The teacher to student ratio is 1 teacher to every 7 students and a Japanese teacher licensed in Early Childhood Education will accompany the foreign teacher in handling class for children in their first and second year of preschool. Students in their final year of preschool may be in a smaller class with a single teacher. A sample schedule of their daily routine is below. For details on what each of these classes contain please see our Curriculum tab at the top of the page. All preschool classes are full day only.